Maloca has been asked to help support a collaboration between indigenous and western healtcare providers in Brazil's Xingu protected area. The meeting will bring together shamans from all ethnicities in Xingu and from outside. There will be also raiceros (with knowledge of medicinal plants), midwives, and rezadores (with knowledge of special healing prayers). The meeting will also be attended by non-indigenous doctors and nurses. 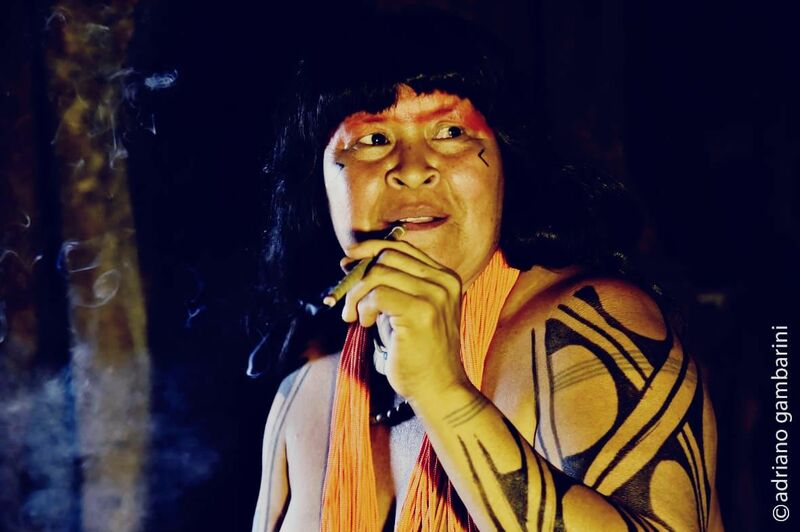 The gathering is the idea of Mapulu, a well respected female shaman of the Kamaiura and the daughter of Takuman Kamaiura, regarded as one of the most powerful shamans in Xingu. Mapulu’s idea is to show doctors and nurses how the shamans do their work, with the greater goal of having doctors and shamans work side by side to treat indigenous patients. This is especially needed when gravely ill indigenous patients are taken to city hospitals. These patients need their shamans but they are not allowed in the hospitals to perform their work. There were several cases when the shaman was brought to the city, to the hospital, but not allowed to perform the healing rituals on the patient. This has to change, and shamans and doctors need to work side by side. The funds raised by Maloca will go to Associacao Hiulaya, Mapulu Kamaiura’s organization. Village Earth has partnered with Give Lively to securely process your online donation. This transaction will appear on your credit card statement as "Village Earth". This transaction is subject to Give Lively's Terms and Privacy.